I'm in London this weekend visiting my sister. 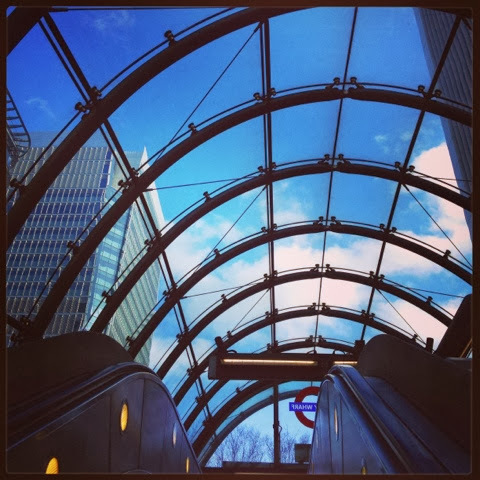 This picture was took leaving the tube at Canary Wharf. It was a beautiful bright blue sky. It was my first time going away from the children for the night. I've enjoyed myself but can't wait to go back now.